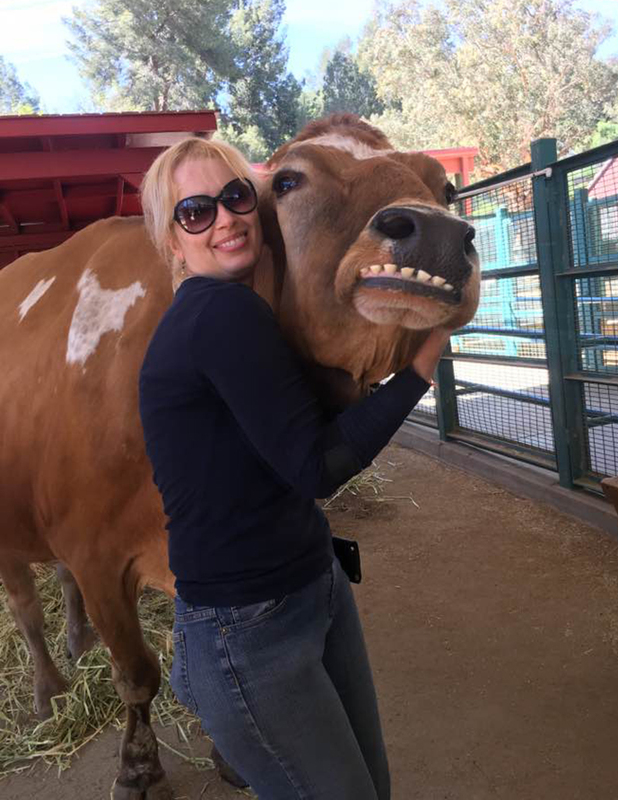 SCVHistory.com | William S. Hart Park | In Memoriam: Norman the Cow (Steer), 2005-2017. 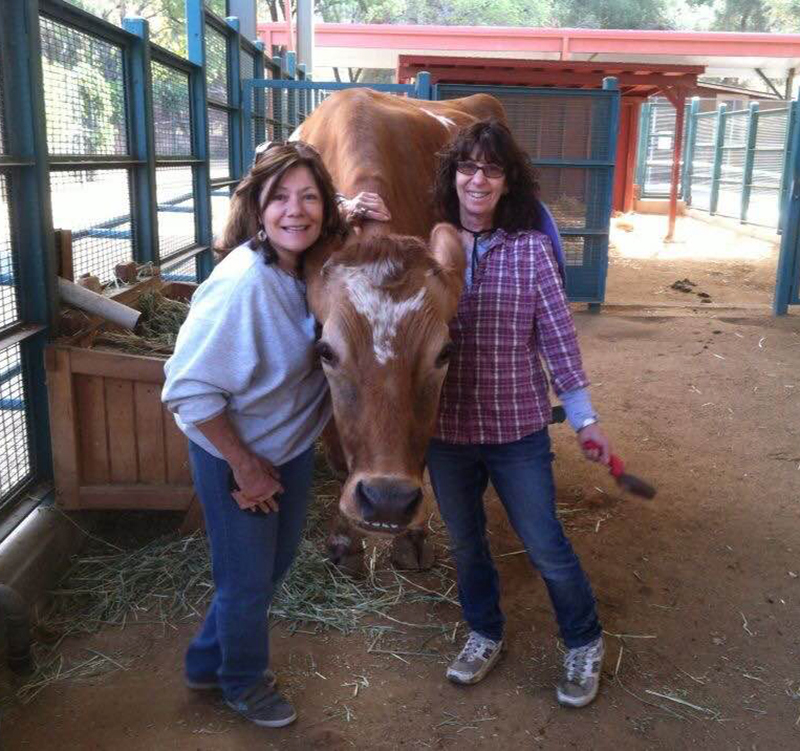 Norman the Cow (Steer), 2005-2017. 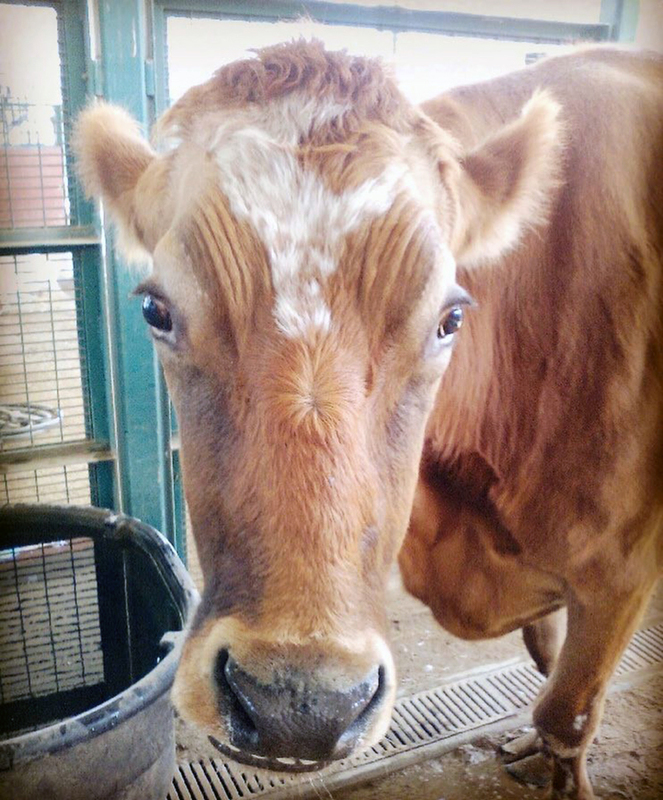 William S. Hart Regional Park Barnyard announces the passing of our beloved red and white Holstein steer, Norman. Norman was 12 years old and our park's mascot and resident rock star. 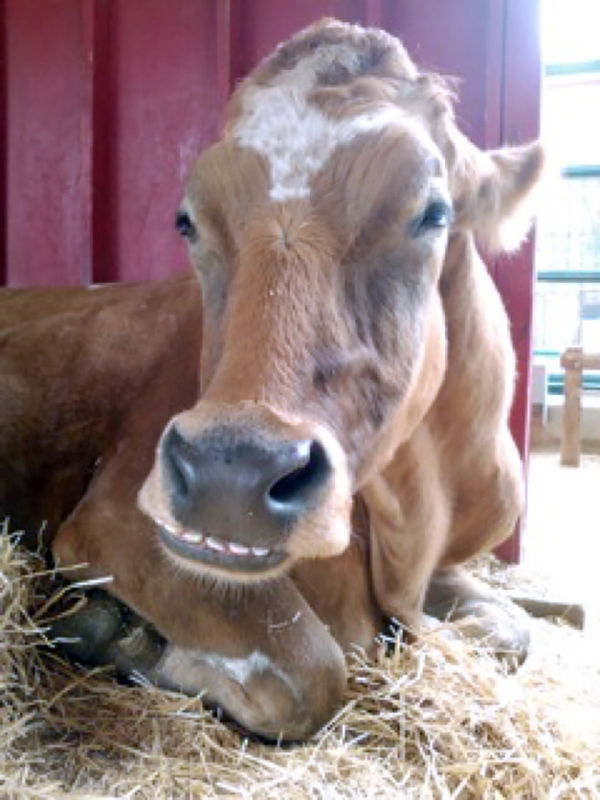 With his toothy grin and sweet demeanor, he was a favorite of many regular park patrons. Before coming to Hart Park in 2009, he had been raised by a family for food. However, he won over the family with his winning disposition, and they chose to donate him to Hart Park. 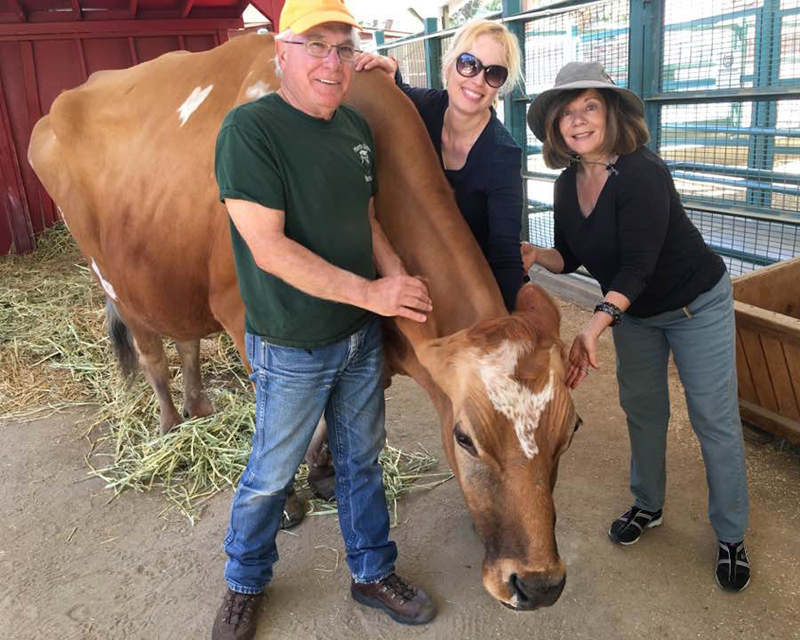 Over the years, Norman developed several health problems, including a large but benign tumor, as well as arthritis in all four legs. While his physical health deteriorated, his personality was as bright and friendly as always. The highlights of his days were his daily grooming sessions and visits from his adoring fans — especially when they gave him pellets from the dispensers. He was a very spoiled and loved boy. Norman died Tuesday, March 14, 2017. He was our friend and a beloved family member, and we will miss him greatly. Thank you to everyone who loved Norman. His lasting legacy of animal education will live on. From left: Denny Truger, Rachael Komulainen, Sylvia Altamirano. Sylvia Altamirano (left), Andrea Donner. Rachael Komulainen. Photo: Sylvia Altamirano. 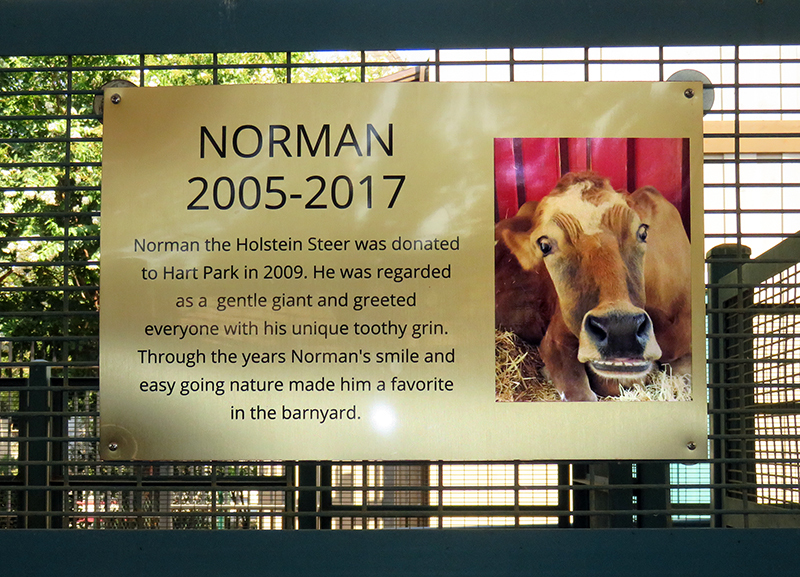 Electronic reader board in front of Hart Park commemorates Norman. Photo: Leon Worden. Click to enlarge. Plaque placed in July 2017, donated by Hayden Sohm, retired Regional Deputy Director, Los Angeles County Department of Parks and Recreation. Photo: Leon Worden. Click to enlarge.